Venerable CNN interviewer Larry King recently announced he is divorcing his 8th wife. That may be some sort of world record. I hear he will be meeting Elizabeth Taylor next year in the ‘finals’ to break the tie. If you have been married and divorced 8 times, you may just want to consider that the problem may not be that you married the wrong woman, or in King’s case women. I watched Larry King ‘being’ interviewed by someone else on the subject of love and marriage. I was surprised that such an otherwise intelligent TV personality was such a dunce when it came to understanding relationships. Without getting into the specifics of it, he sounded like a 15 year old high school kid explaining the finer details of dating hot babes. In 1900 the percentage of marriages that ended in divorce was about 1 in 100. By 1925 it rose to 4 in 100. By 1950 it reached 10 in 100. By 1975 it had exploded to 40 in 100. 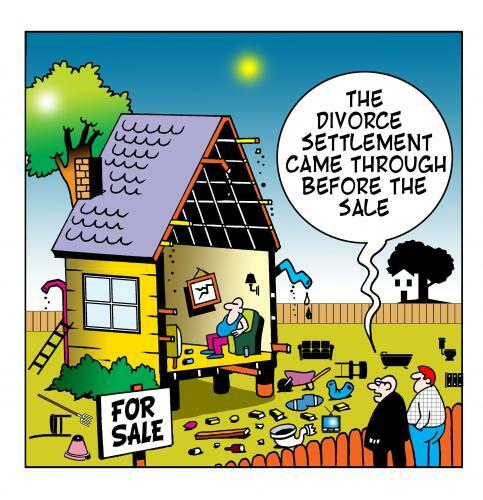 Today it is generally regarded that half of all marriages will end in divorce. Some will be quick to point out that in the last 10 years the divorce rate is actually dropping. That is true… because more and more people are not getting married in the first place and just opting to live together. For that matter the divorce rate in Canada is the lowest in Quebec. That’s because the vast majority of young couples now fore go the institution of marriage completely. 60% of all children in Quebec are now being born out of wedlock. You did not read that incorrectly – 60%. Quebec is now being regarded as the world’s first post-marriage society. People clearly view marriage differently than they used to. By many it is no longer regarded as a life long commitment but as a agreement that can be cancelled like a cable TV contract. In fact, some of those cable contracts are harder to get out of. Most couples that I talk to come up with the same reason; “I married the wrong person.” (I guess that was the one thing that Adam never had to listen to… about the man Eve could have married.) Personally, I am not convinced. I don’t believe for a minute that a hundred years ago half of the population just endured bad marriages to the wrong person. If people married the wrong person the first time, then presumably they would know exactly what kind of person they should marry the next time. Then we should see the success rate climb dramatically. That is not the case. 67 percent of second marriages end in divorce and a whooping 74 percent of third marriages. No, we’ve got it all wrong. 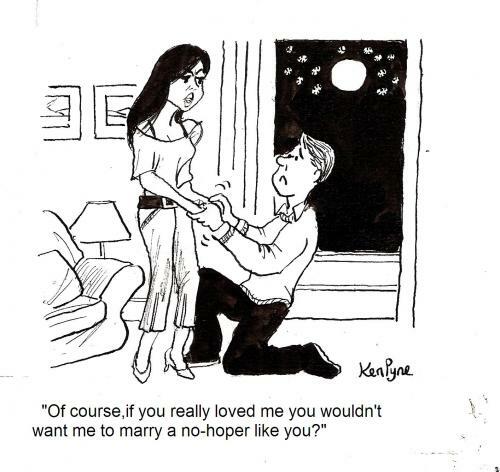 Marriages are failing today because people are incredibly selfish and have unreasonable expectations for their spouse. Even if they admit that they were happy at one time, couples will often say, “The love has gone out of our marriage.” I don’t think they know what love is. Love is not a fuzzy feeling you get in your stomach when you are near someone… that is called acid reflux. Love is a decision! It is a commitment to put the other person ahead of yourself. When couples commit to the happiness of their partner, they in turn will always discover happiness themselves. Modern marriages are often the opposite, with the partners trying to extract what they can get for themselves from the relationship. That was never the original intent of marriage. If your marriage is struggling you need to know that as long as there is a God in heaven there is hope. There are lots of great resources out there. 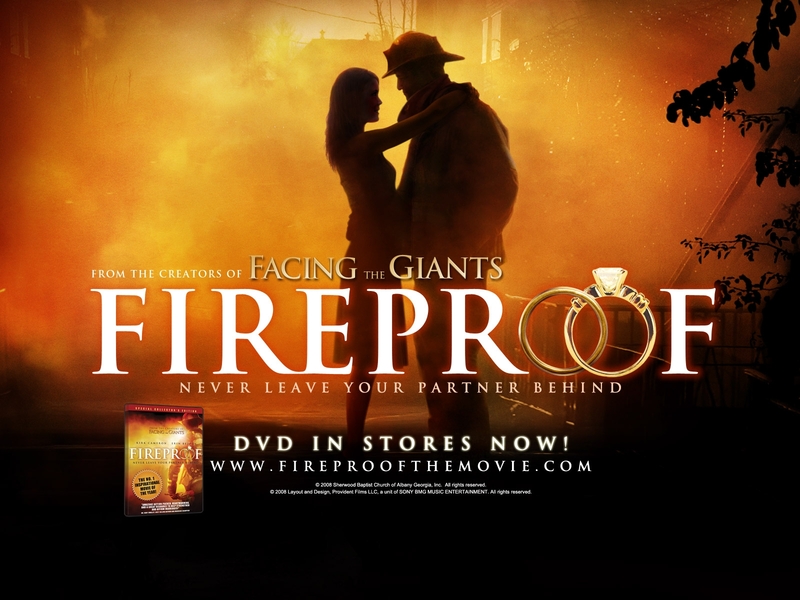 Rent the movie ‘Fireproof’ and watch it together’. It is a brilliant representation of the struggles that most couples face today. Sure there are a few cheesy moments, but the underlining prescription on how to make love a ‘decision’ is very well done. Someone a lot smarter than me once said, “Love never fails” (1 Cor 13:8). We just need to learn to believe it.